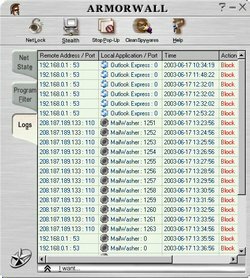 A powerful removing spyware progarm, protects your privacy, detects and kill spyware, stops hackers etc. Spyware Removers - Spyware Killer is a perfect removing spyware program to protects your privacy, includes one of the top 5 rated Firewall software programs, detects and removes spyware, and stops hackers cold from retrieving personal identifying information such as pin, credit card, phone and social security numbers, passwords, usernames, etc. Whatever you do, don't log on without Spyware Removers - Spyware Killer. Secure HTML Lock - Prevent people making unauthorized copies of YOUR Web Page.